Every parent knows just how important kids’ birthday parties can be. The day has the potential to boost their self-esteem as well as create the perfect opportunity for them to form closer bonds with their friends. Now, if your little one could just make up their mind already! These days, navigating through the world of kids’ party venues requires an event-planning background as well as a PhD in kids’ entertainment. Yes, kids’ parties can be worse than a toothache, and if you’re a hard-working parent with a limited budget, like most of us, and can’t think of anything worse than having a party at home, it’s a great idea to take the kids to Acrobranch for a day of ziplining fun. 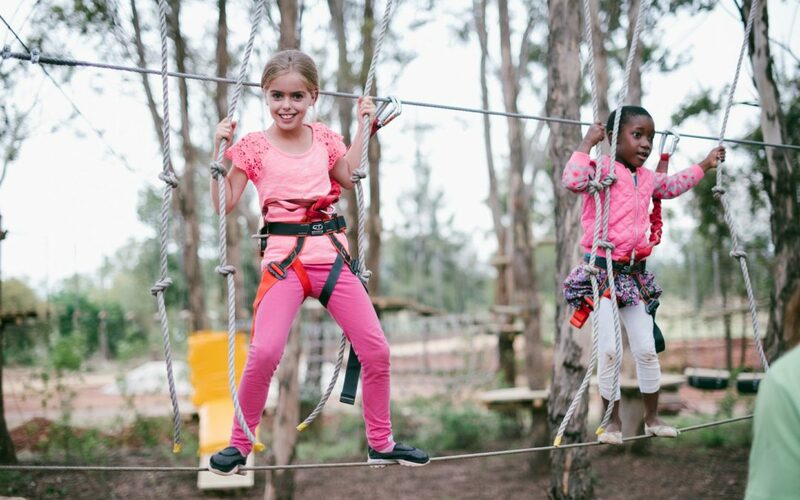 A zip line treetop adventure dedicated to offering both young and older kids an experience of a lifetime, Acrobranch is celebrated as a world-class ziplining adventure venue with adventure parks throughout South Africa. Safety is first and foremost, so kids are strapped safely into harnesses and wear helmets and gloves, with safeguards and cables in place, and led by professional safety guides onto platforms between the treetops, where they get to experience one of the most exciting obstacle courses ever! You can find our exhilarating kids’ party venues in six locations throughout South Africa, with each adventure course offering obstacle courses for different age groups. At Acrobranch, we allow you to choose a specific obstacle course that suits your kid’s age group best. Offering obstacle courses that feature zip lines, cargo nets, Tarzan swings, balancing beams, tightropes, zigzagging, lily pads, barrels, and rope bridges, your kids are guaranteed to have the best day ever. And when the ziplining is over, we’ll lead you down to our restaurant that can be found on the grounds of each of our adventure park venues, so you and the party can enjoy cake, cool drinks, and eats. 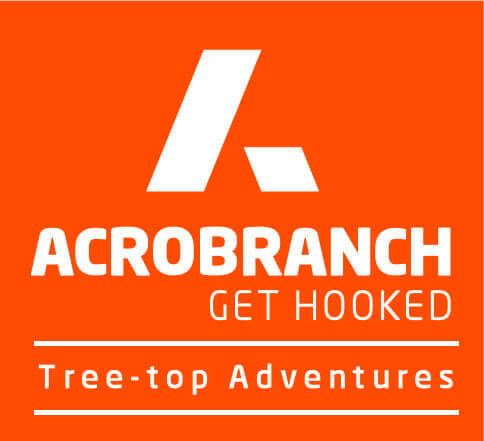 Acrobranch adventure parks are one of the best-kept secrets in kids’ birthday party venues. Let the kids have the experience of a lifetime where they can enjoy thrills and laughs under the watchful eyes of the guides as they climb, trapeze, swing, and zip line their way through the obstacle course. A birthday party at Acrobranch will ensure that your little one is the talk of the playground for months to come. Make a booking at one of our kids’ party venues in Constantia Nek in Cape Town, Sunlaws Estate in Centurion, Melrose Park in Johannesburg, Rosemary Hill in Pretoria East, Musaiek in Pretoria North, or Timberlake Organic Village on the Garden Route.